In the program, homeowners looking to sell their home in the test markets of Las Vegas and Orlando are able to get cash offers for their home from selected investors interested in buying it, all within Zillow’s platform. Zillow announced Thursday that it will begin buying and selling homes directly to and from homeowners. To repeat, Zillow itself will soon be buying homes directly from sellers, then turning around and reselling them. According to Zillow, the program will start small and test in two markets, Las Vegas and Phoenix. But the program represents a huge change in the business model for Zillow. Back in 2015, Zillow CEO Spencer Rascoff said that the company views itself as a media company, not a real estate company. Now, Zillow sells ads and houses. According to Zillow, its homebuying program will roll out “this spring” in Phoenix and Las Vegas. The company said that home sellers in those markets will be able to compare an agent’s comparative market analysis to offers directly from Zillow or from other investors. Now, what appears to make Zillow’s direct buying program different from companies like Opendoor and OfferPad is that it does not cut real estate agents out of the process. Zillow interview from Mo Moghari on Vimeo. So if Zillow is keeping agents and their commissions in the mix, what’s the value add for the seller and buyer? Maybe that Z will take whatever POS home you can’t sell on the open market, then paint it and make a quick buck? I’m thinking it’ll be like trading in your car – you know you could get a better deal on the open market, but you choose to trade some money for convenience. It could work, IF people are willing to make that trade-off. Jim, do you think sellers would knowingly take a lowball offer? Do you think buyers would buy from Z, knowing they are flipping for a quick buck? It is definitely a different proposition from what other flippers are offering, because the Premier Agents give a quote too. Usually when a flipper comes over, they bad-mouth agents and blame the 6% for why the sellers won’t make any more money. In the video the Zillow guy says that in their test markets, 90% of the seller decide to list with the agent. I’m not sure what got into the other 10% – maybe the agent didn’t shower that day? – but the vast majority of sellers will be persuaded to list their house on the open market with the agent. In my first tweet about it, I said that we can expect the cost of Premier-Agent advertising to skyrocket. Zillow has found a great seller-lead generator for agents, and they will be looking for max contribution. P.S. There is still nothing from the National Association of Realtors about creating a consumer-facing website like Zillow. They are scaling back on the one weak attempt to congregate the national housing data into one resource, and while there could be a national MLS some day, it won’t matter unless it comes with a public site on par with Zillow. Looks like they are going to run a real estate version of CarMax. CarMax is for people who don’t mind selling low and buying high in the interest of convenience. 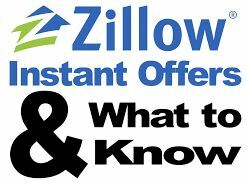 I could see a day where Zillow has some inventory and if you sell your home to Zillow you become a “preferred” buyer for a home in there inventory or get a cash back deal on a non Zillow house if you use an in-house agent. This could definitely be a big deal for people who want to move up but don’t want to deal with the hassles that come with buying/selling at the same time from different parties. Either way it’s a game changer for traditional real estate models.